Hailed by The Guardian as “one of the great Wagner basses of our time” Ain Anger made his Bayreuth Festival debut in 2009 under Christian Thielemann as Fafner in Das Rheingold and Siegfried before singing Hunding in new Ring Cycles at Bayerische Staatsoper (Kent Nagano), Wiener Staatsoper (Franz Welser-Möst) and Oper Frankfurt (Sebastian Weigle). He made an acclaimed debut at Teatro alla Scala as Daland in Der fliegende Holländer (Hartmut Haenchen) and appeared at the BBC Proms with Deutsche Oper Berlin in Tannhäuser under Donald Runnicles. A mainstay of the Wiener Staatsoper stage since his house debut as Monterone (Rigoletto) in 2004, Ain Anger has now sung more than forty roles there ranging from Sarastro (Die Zauberflöte), König Heinrich (Lohengrin) and Philippe II (Don Carlos) to Pogner (Die Meistersinger von Nürnberg), Zaccaria (Nabucco) and Fiesco (Simon Boccanegra). Opera highlights this season include company debuts at both the Royal Opera House as Pimen in Richard Jones’ new production of Boris Godunov and San Francisco Opera as Pogner (Die Meistersinger von Nürnberg) under Sir Mark Elder; as well as a role debut as Cardinal Brogni in Calixto Bieito’s new production of La Juive under Bertrand de Billy for Bayerische Staatsoper. Roles in Vienna include Dossifei (Chowanschtschina), Hunding (Die Walküre) and Sparafucile (Rigoletto) alongside a return to Munich as Pimen (Boris Godunov) under Vasily Petrenko and Il Commendatore (Don Giovanni). 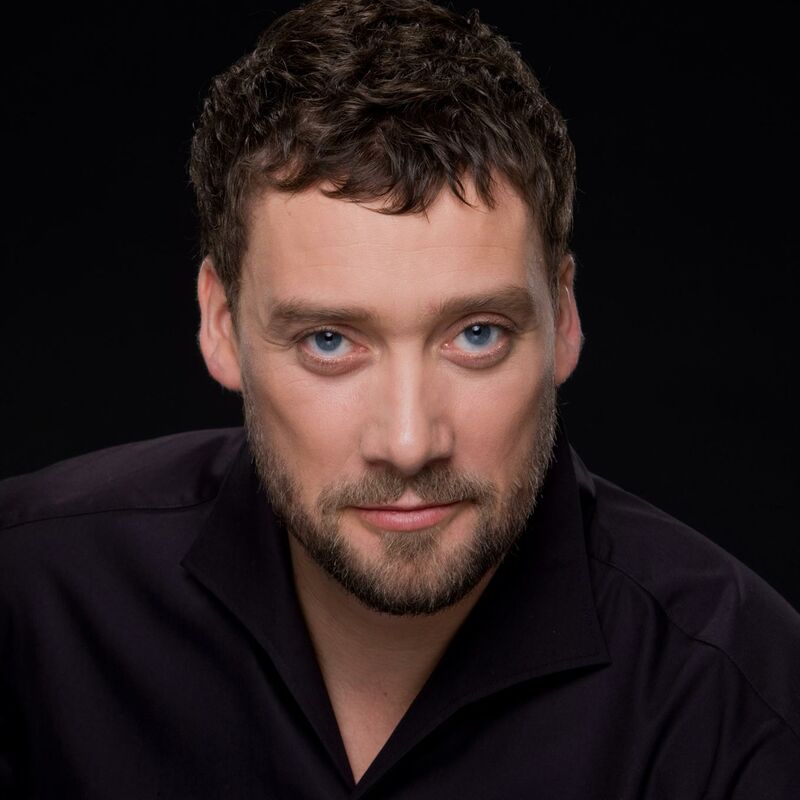 Recent engagements include a role debut as Rocco (Fidelio) for De Nederlandse Opera (Marc Albrecht), Die Zauberflöte at Théâtre Champs-Elysées under Jean-Christophe Spinosi, Sparafucile (Rigoletto) at La Monnaie under Carlo Rizzi and Gounod’s Faust at Estonian National Opera. Appearances on the concert platform include Mahler’s Symphony No.8 with Symphonieorchester des Bayerischen Rundfunks (Mariss Jansons) and hr-Sinfonieorchester (Paavo Järvi), Verdi’s Requiem and concert performances of Der fliegende Holländer with Sydney Symphony Orchestra (David Robertson) and Beethoven’s Symphony No.9 with Gewandhausorchester Leipzig (Riccardo Chailly). After a US debut in 2002 in Shchedrin’s The Enchanted Wanderer with New York Philharmonic under the late Lorin Maazel, Anger’s North American profile has grown to include recent engagements such as Beethoven’s Missa Solemnis and Verdi’s Requiem with the San Francisco Symphony and Dallas Symphony Orchestra, Orest in Strauss’ Elektra with The Philadelphia Orchestra and Ramfis in Aida with Houston Grand Opera. Trained at Tallinn’s Academy of Music, Ain Anger began his career in his native Estonia before becoming a member of the ensembles of Oper Leipzig and Staatsoper Hamburg.